In the market for a new heating (or air conditioning) system? Not sure which system to go with? Don’t worry. You’re not alone. 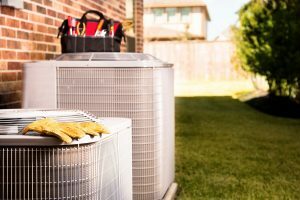 It’s a pretty common problem for homeowners to become overwhelmed and discouraged by the task of sorting through the HVAC market to find the system that fits their needs the best. Fortunately, you don’t have to go through it alone! We recommend consulting with a professional in person to find the best HVAC system for your home’s needs. While you’re waiting for your appointment, though, there’s no reason you can’t do some research on your own! 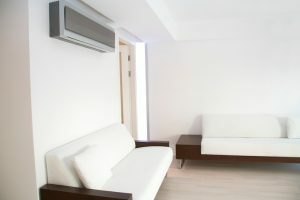 Today, let’s go over some of the reasons why you might want to install a ductless mini split system in your home. There are a lot of different options for both heating and air conditioning systems available on the market today. If you’re looking for a new one, you have a lot of research to do. Chances are, you can find several systems that will do well enough for your home’s needs. If you want to find the best one you can, though, you’re going to need to carefully consider the pros and cons of each option. Let’s take a look at ductless mini splits, and what one could do for your home this season. Posted in Heat Pumps | Comments Off on Should I Install a Ductless System? There are some symptoms that, when you notice them, should instantly that your system needs to be repaired. Some, however, are a bit trickier to diagnose at first glance. Heat pump ice, for example, could be nothing to worry about. Or, it could mean that your system is in dire need of repairs. If you see ice on the outdoor portion of your heat pump, and you’re not sure what to do about it, read on for more information. Posted in Heat Pumps | Comments Off on Is it a Bad Thing if My Heat Pump is Covered in Ice? Heat pumps are just as prone to developing issues under the strain of winter use as any other heating system. This can manifest in a number of ways, but the most common is simply a loss of heating output. If your heat pump isn’t heating as well as it should be, there are a number of possible reasons why. We’ve got a couple of months yet before the weather starts to cool off. However, it’s not a good idea to wait until heating season to get your home ready for it. Specifically, it’s a good idea to have your heat pump professionally checked in the next couple of months. Even if you had maintenance done earlier in the year, it’s still a good idea to have it done again this fall. Have a look at some of the reasons why your heat pump needs maintenance more often. With the hot summer sun beating down on the land, now is probably about the worst possible time for your heat pump to break down on you. If your heat pump isn’t up to the task of keeping your home cool and comfortable over the remaining summer months, you should probably replace it now. 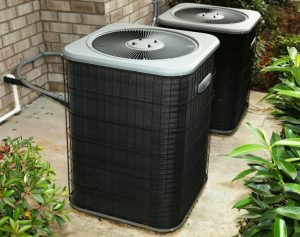 You also might want to replace your heat pump if it’s not efficiently cooling your home, even if it may not yet be in any danger of breaking down permanently. Have a look below for more info on when to replace your heat pump. Assuming you take good care of your ductless system, you can get quite a few years of use out of it. No amount of care will get your ductless system to last forever, though. Sooner or later, you are going to have to replace your ductless system. It’s better to be familiar with the signs that your ductless system is failing, so that you can have it replaced as soon as possible. You don’t want to have the system suddenly fail on you in the middle of the hottest season of the year. Have a look at some of the most common indications that your ductless system needs to be replaced. With the summer heat already baking the countryside, you’re probably using your heat pump on a fairly regular basis to keep cool. All that added demand over the next few months is going to increase the amount of wear and tear on your heat pump significantly. 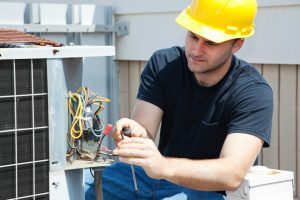 If you want to keep the system healthy, and lower the chances of it developing problems by a pretty significant amount, there is one major step you can take to prepare for summer: preventive maintenance. Just scheduling maintenance consistently every year can cut your repair costs significantly, and extend the effective lifespan of the system.